A huge thanks to Christopher Sanders for submitting this article as part of the Safex News Community Content programme! To this day, one of my most cherished childhood memories remains my first playthrough of The Legend of Zelda: Ocarina of Time. Right from the opening title all the way through the climatic ending, I experienced something that few other experiences can rival; an inexplicable entrancement. For over 2 billion people around the world (2.2 billion to be exact) video games create a unique, dynamic experience that no other medium can quite capture. Fervent competitors, casual time killers, and creative artists alike can now join under a uniting umbrella where they can partake in their respective interests at any time and any place they please. And just how blockchain technology has threatened to disrupt almost every other industry imaginable, the gaming industry will more than likely become the first in line to adopt the blockchain revolution. But before we dive into the impact that blockchain technology, and more specifically the impact of Safex, will have on the gaming industry, let me first explain just how big and bad the industry is becoming. For the relatively short amount of time it has existed, the video game industry has progressed at an explosive rate. Total revenues in 1998—the year The Legend of Zelda: Ocarina of Time was released – were estimated to be around 30 billion worldwide. Now, just a short 20 years later, revenue is expected to reach nearly 140 billion by year’s end and predicted to hit 180 billion by 2021. Most of the gaming industry’s insane growth can be attributed to it’s evolving relationship with the internet. The internet has introduced a slew of new subsectors to the gaming industry like mobile gaming, MMORPGs, and Esports (competitive gaming), opening the proverbial floodgates to millions of new players across multiple demographics. Mobile gaming, in particular, has been the biggest mover of the industry. In a 2017 study, it was shown that the average American adult spends 23 minutes a day playing games on a mobile app (my mom probably has more hours in Panda Pop than I do in any game). It should come as no surprise then, that the mobile gaming sector is set to rake in estimated 51% (70.3 billion) of the gaming industry’s total revenue in 2018. Because of its rapid adoption of the internet, gaming is quickly becoming a digitized medium. Digital revenues will account for 91% of all revenue in 2018, with expectations of video games becoming 100% online within 6 years. Most of the digital purchases that occur will take the form of that-which-must-not-be-named, or for those brave enough, *whispers* microtransactions. A microtransaction can be defined as, “a term that applies to small value financial transactions that happen within digital games and apps”. Though often scrutinized by the gaming community, microtransactions are by far the most lucrative avenue for game creators. In the popular online mobile game Clash of Clans, it is estimated that 1.3 million dollars are generated in microtransactions a day. Skins, items, weapons, childhoods can now all be bought and sold within games. Just like how back in my day, we used to go to the store to buy Pokemon packs in hopes to get that sweet, sweet, holographic Charizard, kids and adults alike are now buying the digital equivalent: loot boxes. Loot boxes are often bought with in-game currencies. Depending on the game, these currencies can either be won by playing well, completing certain achievements, or purchased with fiat. And just like the Pokemon cards of days past, anything from the most common to the most exquisitely rare items can often be found in these loot boxes (it should be mentioned that loot boxes are not the only way to get items in games, they can also be won individually through quests, achievements, etc. This is especially true in MMORPGs). If you are lucky enough to come across one of the more elusive items in loot boxes, you can be in for some serious cash. In the online battle royale game, Playerunknown’s Battleground, for example, the Playerunknown’s Bandana—which statistically would take a person about 80 years to snag—can go for upwards of 800 dollars! The rarity of these items combined with their high demand has created a digital market for them. Forums and websites like Opskins are dedicated exclusively to the trading of digital items with thousands being bought and sold each day. When forums and in-game were the only way for the peer-to-peer trading of virtual goods, fraud was rampant within the space (I still mourn my stolen rune armor from Runescape). Scamming, phishing and hacking are just a few ways bad actors can steal money, information, or digital goods. According to Emma Lee Yijao, the marketing lead for CashShield, a fraud management company, “Fraud in the digital landscape for the gaming industry is extremely high compared to e-commerce, because [in] e-commerce you have to have a shipping address, a billing address and all these things”. In an industry where highly valued products cannot be physically traced and where fraud is hardly ever investigated anyways, bad actors have a gold mine in which to operate. And while websites were created to combat fraud in the space, it should go without saying, that in such a vulnerable market, it is especially concerning that all digital items—which are much easier to steal than physical ones for obvious reasons—and credit card information be held on a centralized database. Gaming doesn’t just want blockchain, it needs blockchain. The decentralized, transparent nature of blockchain will revolutionize the digital gaming market by effectively eliminating fraud and hacking. By providing an anonymous public ledger, players will no longer need to worry about releasing sensitive information while partaking in potentially high-risk activities. Blockchain technology will also allow for self-sufficient digital economies to arise that will give the power back to the players. Games that choose to build their platform using this underlying technology will give their players true ownership of the items they purchase with digital currencies that have actual economic value. An entire article can be written on just this topic alone, but for now, just trust me when I say the virtual world of Ready Player One is coming sooner rather than later, and blockchain will be a huge factor in its realization. users will be able to quickly identify bad actors and avoid them. I would encourage anyone who would like to learn more about these topics to check out the Safex Blue Paper. If we were to ignore all the inherent problems associated with a centralized marketplace focused on digital goods, it could be argued that websites like Opskins have already established themselves and so the value of creating another marketplace for the trade of digital goods will have greatly diminished, but, well, that’s a stupid argument (just kidding). But there are a couple reasons why Safex offers more suitable conditions than these “traditional” markets. For one, opposed to Opskins 10% transaction fees, Safex offers a much more favorable 5%. This is compounded by the fact that because of Safex’s decentralized nature, these fees will end up in the hands of the coin holders and not a centralized company’s. If gamers one day hope to establish a truly independent digital economy, this is an unavoidable step that will need to be taken. Furthermore, with more and more games being constructed on the blockchain, Safex can potentially give millions of players an intermediary marketplace with a decentralized currency (Safex Cash) backed by sound economic models. This is due largely to Safex’s implementation of a revolutionary emission curve, fighting centralization and volatility that have become major issues with older cryptocurrencies such as Bitcoin. It would not be absurd to think that entire in-game economies could be constructed implementing the Safex protocol, thereby giving players a stable coin with real value (once the market goes live), that allows for seamless, fraudulent free trades, both in-game and on the marketplace. The gaming industry is here to stay and is evolving at a pace that few other industries can rival. 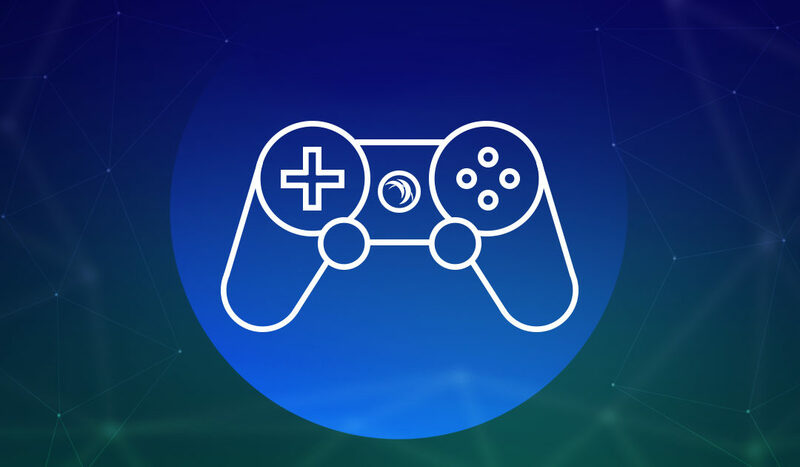 Blockchain and gaming will inevitably become synonymous with one another, and I would like to argue that the digital gaming market could be one of the most applicable uses of the Safex blockchain. And with gamer’s rapid adoption of new technologies, it is more than likely they will become some of the first players (pun intended) to put the marketplace to use. Wow, I think you nailed it- where do we sign up!